The Tour is back in Texas this week, for the Valero Texas Open. An event that has occupied multiple spots in the schedule, it has held its current place in the schedule for the last three years, allowing it to become a strong event in its own right, without the pandemonium of the first major of the year. This will however be changing again in 2019 as it goes back to being the week before the Masters, as it was in 2013. Last week the players teed it up for the RBC Heritage, with weather bringing forward the tee times considerably in the final round. The event extended past 72 holes, as it took three play-off holes to separate Si-Woo Kim and Satoshi Kodaira, with the latter eventually emerging triumphant and securing a PGA Tour card for the next three years. This week, the field is headlined by Sergio Garcia, Matt Kuchar, Charley Hoffman and defending champion Kevin Chappell. Garcia is playing this event for the first time since his debut in 2010 and this is a special spot for the Spaniard. Greg Norman consulted with Garcia with regards to the design of this course, so the Spaniard certainly has an affinity with the layout here and will look for a strong effort in his first start since his disappointing Masters defence. Chappell returns this week as defending champion for the first time in his PGA Tour career. He can become the third player since the turn of the century to successfully defend his title here, following in the footsteps of Texas-born, Justin Leonard (2000-2001) and Zach Johnson (2008-2009), but just the first since the event moved to TPC San Antonio. TPC San Antonio has only been the host course since 2010, and it is a bit of a brute. With four par-4’s over 450 yards, plus two par-5’s that stretch over 600 yards, you are going to have to be on top of your game to win around here. The Par-5’s here have played the toughest on Tour, since 2010, with a stroke average of 4.9, so playing well on these holes is going to be hugely advantageous this week. Wind will be a factor again at this course as it was last week, so the same events from last week, particularly the OHL Classic at Mayakoba and the Sony Open will be correlating events once again, even if the courses are dissimilar. Form at the OHL Classic will be of particular interest to me this week though. Both El Camaleon (Mayakoba) and the Oaks course here at TPC San Antonio were designed by Australian great, Greg Norman and previous winners here, have also done well in Mexico. 2012 OHL Classic winner, John Huh went on to finish 2nd here in the same year and the 2016 champion, Charley Hoffmann had won at El Camaleon in 2015, so the form unsurprisingly stands up. With the same course designer and similar breezy conditions in play, the tie between the two courses for me is enough to stand up and take notice of, and has been well proven in recent editions. All in all, hitting the ball long off the tee will aid your chances this week as there is every chance the ball is held up in strong winds, whilst form in Texas will also be worth noting. Taking advantage of the Par 5’s where you can will be key, especially if you can make birdie at those that stretch over 600 yards. Given the strength of the field this week, Schauffele looks extremely good value at 40/1. The 2017 PGA Tour Rookie of the Year won twice last year first at the Greensbrier and then again at the season-ending Tour Championship. His win at the Tour Championship, where he held off Player of the Year, Justin Thomas was especially impressive and whilst this season has not yet lived up to expectations, a slight lull in form had to be expected. Just one missed cut this season suggests that, despite a struggle to reach the heights of last year, Schauffele can still grind out results without bringing his best stuff and with top-9 finishes at both the CIMB Classic (3rd) and the Genesis Open (T9) on the PGA Tour, as well as a T2 finish at the Dunlop Phoenix Open in Japan, he is clearly still capable of flashing brilliance week-to-week. This event will be right up Xander’s street, with his distance off the tee a huge weapon when looking to overcome the long par 4’s and 5’s here. He currently ranks 11th on Tour in Par 5 Birdie or Better Percentage, which could well be key this week and that, on top of some good play on an unsuitable course last week gives a lot of reason for optimism. Harbour Town and it’s claustrophobic nature is never going to be the ideal spot for Schauffele, but despite that, he sat 7th after round one and 13th at the mid-way point before eventually fading to T32 over the weekend. One week he is going to fire himself right back into contention and I see little-to-no reason why it won’t be here at a course where big-hitting is particularly advantageous. On just price alone, he looks good value at 40/1 but the course also plays to his strengths, so I really did not want to leave him out this week, with a return to form likely immanent. Despite being raised in Mexico, Abraham Ancer was born in Texas and currently resides in San Antonio, and he will look to carry his trending form over as he plays at “home” for the second straight event. In his last three starts, Ancer has finished T16 (Valspar), T13 (Corales) and T8 (Houston) and should he keep this form up he may well contend for his second win as a professional and first on the PGA Tour. A winner already on the Web.com Tour in 2015, it is clear Ancer is an improving talent who will be looking to take advantage of a weakened field, building particularly on his last start. Five top-20’s so far this season, including two top-9’s suggest he has plenty enough game to mix it on the main Tour, and with one of those top-9s coming at the correlating OHL Classic, I think he has every chance to feature at the top of a leaderboard once again this week. Nothing stands out statistically for Ancer, but his all-round game is clearly in solid shape right now and his recent experiences and form will certainly help him here. Ancer ranked 4th at the Valspar and 30th at the Houston Open in Par 5 Scoring Average for the week, and if he performs on the “scoring holes” as well as he did at the Valspar, here this week, his chances will look all the better come Sunday. He did play here back in 2016, making the weekend and eventually finishing T42 but he will be hoping for a much better showing this time around. Given how well he played last time out in Houston, I am willing to take a chance on a local lad, who is clearly playing some of his best golf in recent weeks, especially at 125/1. 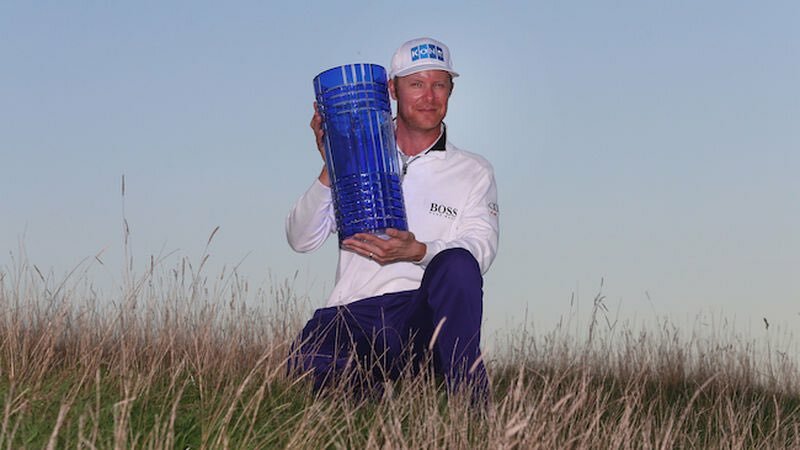 Abraham Ancer is not the only local lad I have plumped for this week as I have also opted to chance Martin Piller at a fancy price, given his local ties. Piller was born, bred and educated in Texas and still currently resides there, so the Texas A&M graduate would certainly enjoy his first PGA Tour win coming in his home state. Piller has been wildly inconsistent on the PGA Tour, despite being a six-time winner on the Web.com Tour, one of which came last year to help secure his PGA Tour card this season. Whilst he hasn’t yet been able to make the step up and win on the main Tour, he has finished inside the top-5 on multiple occasions, including here when finishing T4 in 2016. His T4 here in 2016 only his second appearance at this course (T23 in 2011 on debut) but he has also shown form at the OHL Classic (T4 this season) to further justify his chances, so this is not based solely on that one standout performance here two years ago, nor is it about his love for all things Texas. On his last start, Piller scraped through the weekend on the number at the Houston Open, but weekend rounds of 70-67 saw him climb the leaderboard into a very respectable tie for 24th. Despite missing exactly 50% of cuts this season, Piller has two top-4 finishes to his name (T3 CareerBuilder and T4 OHL Classic), confirming that if the test suits, he is more than capable of making a run at thw title. With a T4 finish on his most recent start here, as well as some decent finishes under his belt this season, I thought Piller was worth a bet at a big price, in the hope he can find a win the top-level, for the first time.